Monday morning, the Indianapolis Colts announced that not only does Peyton Manning have a neck injury, but back problems as well. 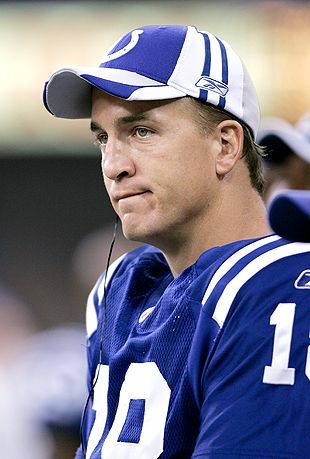 According to Colts officials, this past week the pace of Manning’s rehab process has not been good. Manning has been dealing with a sore back and tests are going on to see how serious the problems are. For the time being, medical officials have ruled Manning ineligible for practice this week. With no practice in the preseason, it looks like Manning is less than likely to play in the season opener this Sunday against the Houston Texans. If Manning’s 227 consecutive games started streak comes to an end, it will be either Kerry Collins or Curtis Painter taking the snaps this Sunday. 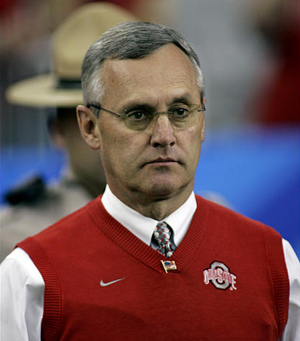 In other Colts news, newly signed game day consultant Jim Tressel has been suspended. Ever since he signed with the team, there has been discussion that since Terrelle Pryor was ordered to honor a suspension ruled by the NCAA, then Tressel should pay his debts to the NCAA for what was done at Ohio State. Reportedly, a meeting took place between Tressel, Colts Owner Jim Irsay, Colts Coach Jim Caldwell, and Colts President Bill Polian. The men also spoke with officials from the NFL offices. They agreed that Tressel would not report to the team until after game seven. Tressel would have served a five game suspension in the NCAA, so the hope is that NFL Commissioner Roger Goodell is going to be satisfied with a seven game self-inflicted ban.